Since my dad's battle with thyroid cancer - which by the way, he's winning - I've come to appreciate that tiny gland that regulates metabolism. Of course, cancer isn't the only disease that can attack the thyroid - a fact I was reminded of when I received an e-mail from a reader named Ronald concerning his daughter who suffers from Hashimoto's thyrioditis. For those not familiar with this condition, Hashimoto's thyroiditis is an autoimmune disease where the body's own antibodies attack the cells of the thyroid. Women between the ages of 30 and 50 are the primary target. And, worst of all - there is no cure. The symptoms of Hashimoto's thyroiditis can look a lot like other diseases, and can include tiredness, forgetfulness, depression, coarse dry skin, slow heartbeat, weight gain or loss, constipation and intolerance to cold. But Hashimoto's also has some of its own distinct symptoms: difficulty swallowing food or liquids and the feeling of tightness in your throat. There might also be a bump (called a goiter) in the front of your neck. But the only way to know if you actually have Hashimoto's thyroiditis is with hormone and antibody blood tests that look specifically for the disease. One thing you don't want to do is ignore these symptoms. Left untreated, this disease can lead to high LDL cholesterol levels and heart disease, clinical depression, low libido and a higher risk of giving birth to babies with defects like cleft palate. If you've been diagnosed with Hashimoto's thyroiditis, your doctor may prescribe replacement thyroid hormones. If you do walk out of the doctor's office with a prescription, fill it and make sure to take the replacement hormones. Why am I so emphatic about this when I usually opt for natural alternatives? Because every cell in the body depends upon thyroid hormones for regulation of their metabolism. Of course, that's not to say that natural remedies won't help manage your symptoms. What you eat can have a huge impact on Hashimoto's. Start by eliminating stimulants and chemicals. Some of the more obvious ones are caffeine, sugar and preservatives. The first two tax the adrenal glands, causing imbalances throughout the body. Preservatives and artificial sweeteners like aspartame can cause further stress to the brain so it's critical to greatly reduce or eliminate your intake of these substances. It's also a good idea to avoid some otherwise healthy foods because they can depress thyroid activity. These include broccoli, cabbage, brussels sprouts, cauliflower, kale, spinach, turnips, soy, beans and mustard greens. And avoid iodine-rich foods like kelp. While iodine is important to thyroid function, it can have a negative affect if you're suffering from Hashimoto's thyroiditis. This condition has also been linked to celiac disease. Keep a journal of what you are eating for a week to see how products containing gluten (bread, pasta, etc.) affect you. If it seems to be a problem, cut out any foods that contain gluten for a month and see if it helps. What about supplements? They can be tricky in folks with this condition since many otherwise safe supplements can interact with your thyroid medication. Check with your doctor before trying any of the following remedies. There is some evidence that the Ayurvedic herb bacopa can help stimulate the thyroid. It's also helpful for mood and cognition, which can be negatively affected in those with Hashimoto's. Niacin can also help treat the high cholesterol levels that accompany this condition. Just be aware that niacin can cause flushing and even hot flashes in some people. To avoid this uncomfortable side effect, try taking the niacin with 900 mg. of nettles - and take it just before bedtime so that any flushing will occur while you're asleep. When used as therapy for a specific problem like high cholesterol, the dose is much larger than normal - 1,000 to 2,500 mg. daily. But because of the risk of liver inflammation at these doses, medical supervision is essential. Other vitamins and minerals are also important. Calcium (1,000 mg. per day) and magnesium (200 - 600 mg. per day) help many metabolic processes function normally. Supplemental essential fatty acids (1,000 to 1,500 mg. three times per day) are also important since they are necessary for hormone production. There are some supplements you should not take if you suffer from Hashimoto's or even garden variety hypothyroidism. Far too frequently, people with low thyroid levels consume seaweed or iodine supplements in the hope that it will help. However, while iodine deficiency does indeed cause low thyroid levels, taking iodine won't help if you're not deficient - and the vast majority of people living in the developed world get plenty of dietary iodine. In fact, excessive iodine intake can occasionally cause hypothyroidism. This is a classic case of "more is not better." Soy can also have a big impact on the thyroid. When given to people with impaired thyroid function, soy products reduce the absorption of thyroid medication. In addition, some evidence hints that soy isoflavones may directly inhibit the function of the thyroid gland, but this may only be significant in people who are deficient in iodine. Finally, iron supplements may interfere with thyroid hormone absorption. Bottom line, it you want to combine natural and conventional medicine to treat Hashimoto's, check with your health care provider before you self medicate. It was terribly sad to learn recently that actor Patrick Swayze suffered from pancreatic cancer. But a timely new study by the University of Rochester Medical Center in New York has found that Resveratrol - a compound found in red wine - can kill those deadly pancreatic cancer cells. During the study, the researchers treated human pancreatic cancer cells with Resveratrol, either alone or in combination with radiation. They found that the wine compound disrupted the activity of the cancer cells' mitochondria, the energy-producing centers needed for cells to function. Resveratrol also impaired certain cancer-cell proteins that thwart chemotherapy by pumping drugs out of the cell. When it was combined with radiation, the compound bumped up the production of cell-damaging substances called reactive oxygen species - potentially making the cancer cells more destructible. And, in fact, the cancer cells treated with the combination were more likely to self-destruct. Although this research is preliminary, Resveratrol could prove to be a potent weapon against this deadly disease for the nearly 30,000 Americans diagnosed each year. It's also proving to be an effective cancer preventative for a wide variety of cancers. Look for a standardized Resveratrol supplement. The typical dose is 10 mg. per day. If you are undergoing radiation or chemotherapy, check with your oncologist to see if a higher dose - 20 mg. or more - might make your treatment even more effective. Bell DS, Ovalle F. Use of soy protein supplement and resultant need for increased dose of levothyroxine. Endocrine Practice. 2001;7:193-194. Kar A, Panda S, Bharti S. "Relative efficacy of three medicinal plant extracts in the alteration of thyroid hormone concentrations in male mice." Journal of Ethnopharmacology. 2002;81:281-285. Sun W, Wang W, Kim J, et al. "Anti-cancer effect of resveratrol is associated with induction of apoptosis via a mitochondrial pathway alignment." Advances in Experimental Medicine and Biology. 2008;614:179-186. 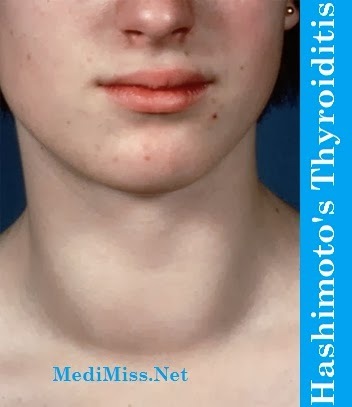 Takami HE, Miyabe R, Kameyama K. "Hashimoto's Thyroiditis." World Journal of Surgery. 2008 Feb 28 [Epub ahead of print]. Valentino R, Savastano S, Tommaselli AP, et al. "Prevalence of coeliac disease in patients with thyroid autoimmunity." Hormone Research. 1999;51:124-127.